Lenovo and Dell both have a huge fanbase that anxiously awaits each new product release. Traditionally, the most anticipated laptops from the two companies were business-oriented powerhouses of blocky appearance. But times have changed, and convertible laptops are the new trend, and Lenovo and Dell want to dominate the new market with their superfast yet incredibly sleek 2-in-1 laptops: the Lenovo Yoga 920 and the Dell XPS 13. High-end laptops have always been, in part, about design, with laptop manufacturers competing over who can pack the most processing power inside the most beautiful body. Over in the Windows camp, Lenovo and Dell are among the most influential trendsetters. The Yoga line of convertible laptops has become famous for its unique hinge, which resembles a classic timepiece. The Yoga 920 also sports the iconic hinge. The hinge allows you to rotate the display all the way around, so you can hold the laptop like a tablet. The XPS 13 also has a hinge that allows the display to rotate all the way around, but it’s very likely that it would catch your attention. The double-hinge solution implemented by Dell prioritizes function over form, and it doesn’t have quite the same appeal as the watchband-hinge that runs the length of the Yoga 920. Hinges aside, both the Yoga 920 and the XPS 13 are absolutely gorgeous laptops that will make you feel proud each time you use them in public. The XPS 13 is slightly thinner (0.46 inches versus 0.55 inches) and lighter (2.65 pounds versus 3.05 pounds), but that’s only because the Yoga 920 has a larger display. The Yoga 920 comes with a 13.9-inch display that’s available in 1080p and 4K. 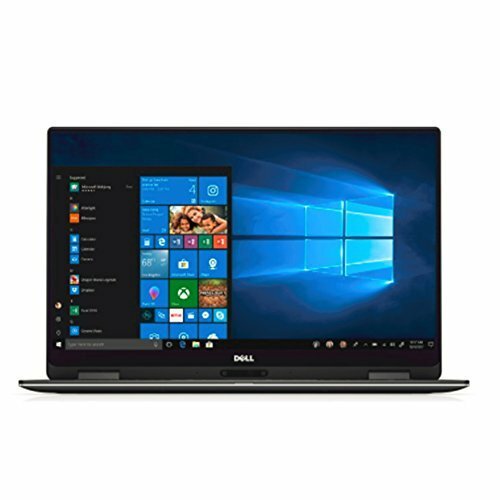 The XPS 13 has a 13.3-inch display that’s available only in 1080p or 1800p. However, the lower resolution is the only aspect where the XPS 13 noticeably lags behind the Yoga 920. 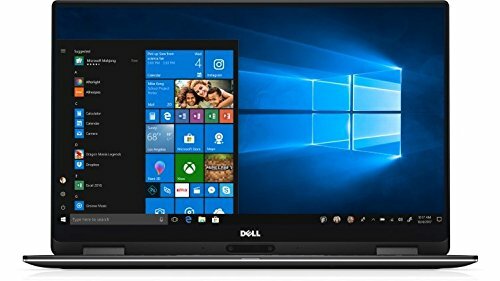 The Full HD version of the XPS 13 is far brighter than the corresponding version of the Yoga 920, emitting up to 360 nits instead of only 284 nits. Dell’s Full HD display is also more colorful, producing 117 percent of the sRGB spectrum, compared with the Yoga 920’s 105 percent mark. Both laptops are available with touch support, but Dell chargers considerably more for it than Lenovo. We haven’t encountered any issues with touch control on either laptop, but the Dell XPS 13’s InfinityEdge display feels more enjoyable to draw on because the lack of thick bezels makes the content seemingly blend in with the surrounding environment. Depending on how often you talk to other people on Skype, you might also hate the placement of the webcam on the XPS 13. The webcam is located below the display, and it provides a very revealing perspective of your nose. You can find dual Thunderbolt 3 ports on both the Dell XPS 13 and the Lenovo Yoga 920, but each laptop offers them in a different form factor. The XPS 13 has one USB-C Thunderbolt 3 port and one USB-C 3.1 port, whereas the Yoga 920 has two USB-C Thunderbolt 3 ports, as well as a single USB-A 3.0 port for legacy devices. Both laptops also have a 3.5mm audio jack, but only the XPS 13 is equipped with a microSD card reader. Security experts have been encouraging people to move away from passwords for many years now, and the XPS 13 and Yoga 920 support biometric authentication with Windows Hello and fingerprints. A comfortable keyboard is the main thing that makes a convertible laptop superior when it comes to productivity compared with tablets. The keyboard on the Yoga 920 has 1.3 mm of vertical key travel, but it doesn’t feel as responsive as the keyboard on the XPS 13, which has 1.2 mm of vertical key travel. It’s hard to say which laptop has a better touchpad because they both have different strengths and weaknesses. The touchpad on the XPS 13 is somewhat small, but its glass surface makes it far more responsive than the larger touchpad on the Yoga 920. Both the Lenovo Yoga 920 and the Dell XPS 13 are equipped with the same Intel Core i7-8550U processor, the same integrated Intel UHD 620 graphics, and fast solid state drives. The XPS 13 is available with up to 8 GB of RAM, whereas the Yoga 920 can be specced with up to 16 GB of RAM, giving you that extra memory required by many heavy-duty applications. All models of the XPS 13 are equipped with the same 60 WHr battery, which you can expect to last around 8 and a half hours. The Full HD model of the Yoga 920 lasts up to 15.5 hours, while the 4K model lasts only up to 10.8 hours. The XPS 13 starts at $999, while the Yoga 920 starts at $1,179. It’s worth noting that the budget model of the XPS 13 comes with half as much RAM and storage than the cheapest model of the Yoga 920 (4 GB of RAM and 128 GB of storage versus 8 GB and 256 GB). 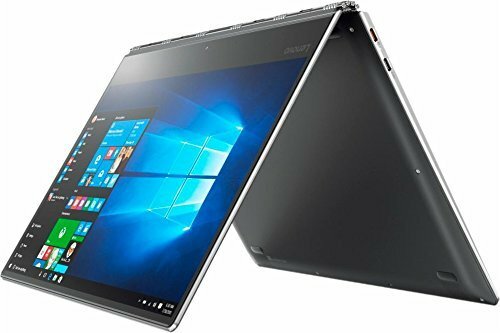 The Lenovo Yoga 920 and the Dell XPS 13 are two excellent 2-in-1 convertible laptops with dashing looks, top-of-the-line performance, long battery life, and acceptable price tag. If you’re looking for a convertible that would be easy to carry around, we recommend the XPS 13. But if you’re willing to accept a few extra millimeters here and there, the Yoga 920 is just as great of a choice.